Submitting Receipts vs Filing Claims: What’s the Difference? You are here: Home / Uncategorized / Submitting Receipts vs Filing Claims: What’s the Difference? Upload a receipt. File a claim. How do you know what to do and when to do it? In this post, you will learn about the difference between these two actions and how to accomplish each one. Why and When Do I Have to Submit Receipts? 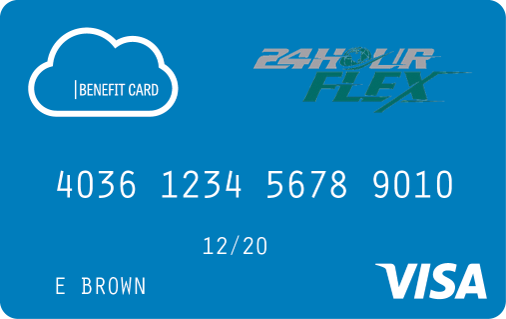 You need to submit a receipt when we need more information in order to verify that the products or services you purchased with your 24HourFlex debit card were FSA-eligible. This debit card is loaded with the current balance in your Flexible Spending Account and can be used to pay for eligible expenses at eligible providers, like a co-pay at your doctor’s office or a prescription at your pharmacy. When you swipe your card, the provider (e.g. your doctor) is paid with money pulled from your Flexible Spending Account. 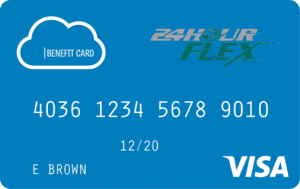 After the transaction occurs, however, we (24HourFlex) have to verify that the products or services that were purchased with the debit card were FSA-eligible. But why? Since an FSA is a tax-advantaged plan (meaning, it lets you pay for things tax-free), the IRS places restrictions on the things you can purchase with FSA money. It is our job as the administrator of the plan to make sure you are staying within these IRS rules so you can use your money worry-free. Wondering what is and is not eligible? Click the button. We ask you via email to submit a receipt for the purchase with more information to show that the expense was eligible. You need to submit a receipt when you receive a request from us for more information about a debit card transaction. You only need to submit a receipt when we ask for it, and it will ALWAYS relate to a transaction where you used your 24HourFlex debit card. If you don’t hear from us, you don’t need to send any more information. Why and When Do I Have to File a Claim? You need to file a claim when you pay for an eligible expense out of your own pocket (meaning, NOT with your 24HourFlex debit card) and want to be reimbursed with money from your Flexible Spending Account. Maybe you accidentally leave your 24HourFlex debit card at home. Maybe you prefer to pay in cash. Or maybe your doctor’s office doesn’t accept the 24HourFlex debit card. How can you use the money in your Flexible Spending Account to pay for an eligible expense?